Oil for applying on pan. In a large mixing bowl, add both the flour and butter, mix it nicely. Then add curd, salt and water, make a batter( batter should be the same consistency like normal dosa batter) and keep it aside for 2 to 3 minutes. Now heat a tawa, once the tawa is heated, reduce the heat to medium, pour a ladle of batter and make round shape dosa and pour little oil from top and cook till crispy on the edges.. Repeat the same process for rest of the batter. 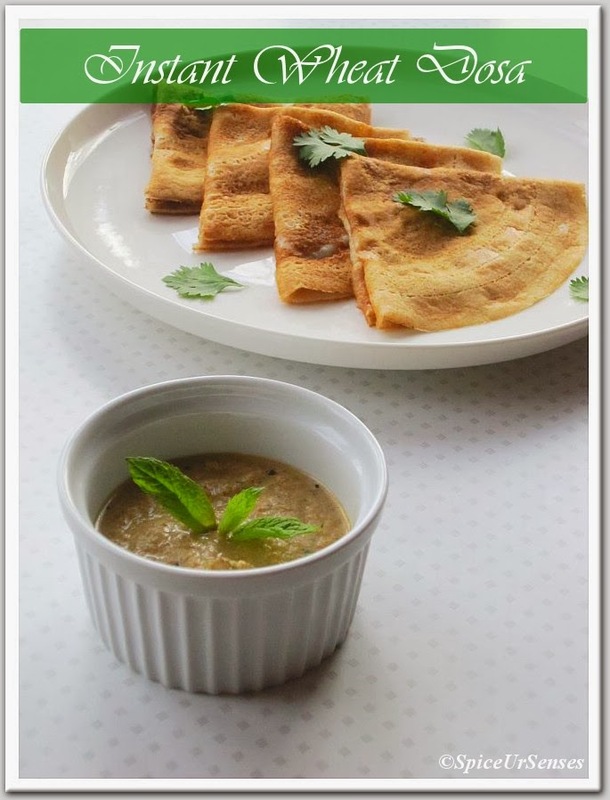 Serve immediately with Coconut or Peanuts chutney.. I am a big fan of dosa.. Love your healthy wheat dosa.. beautiful pictures.. 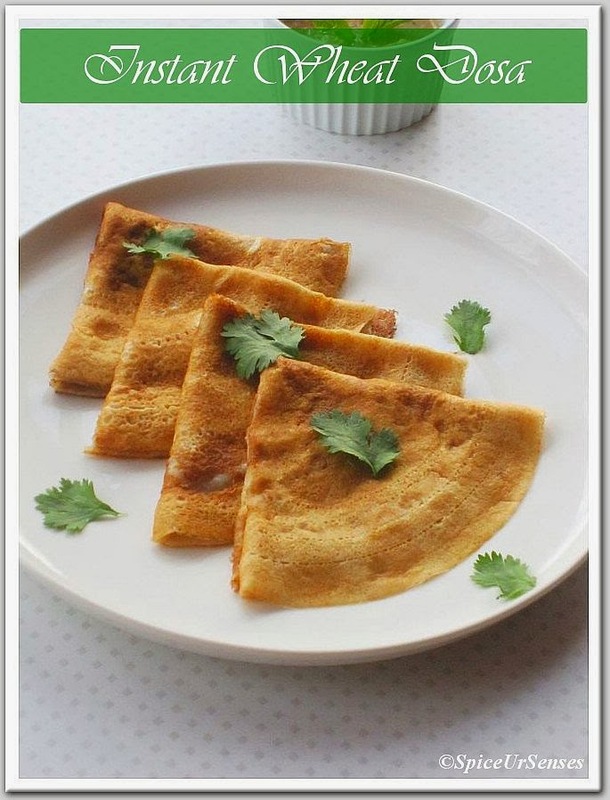 Delicious and lovely looking instant dosa. Fast to cook and good to eat. 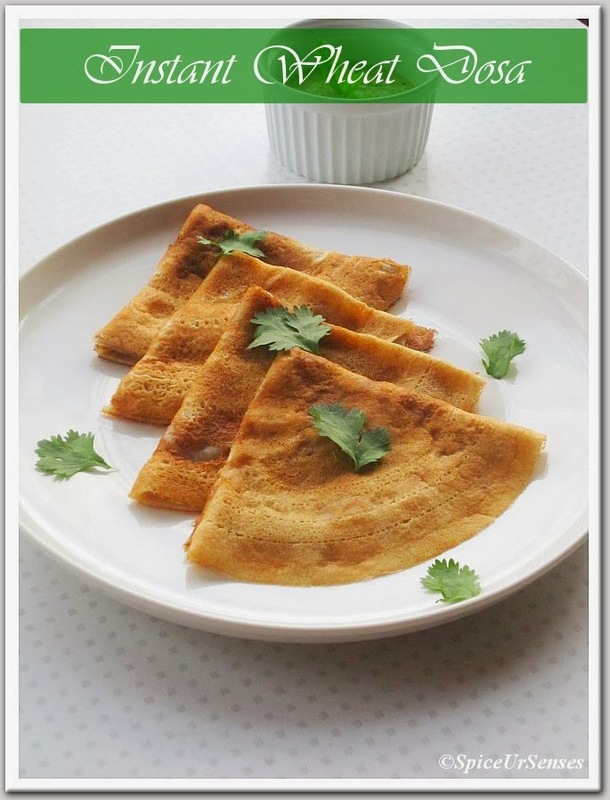 very very healthy and delicious wheat dosa :) lovely presentation !! 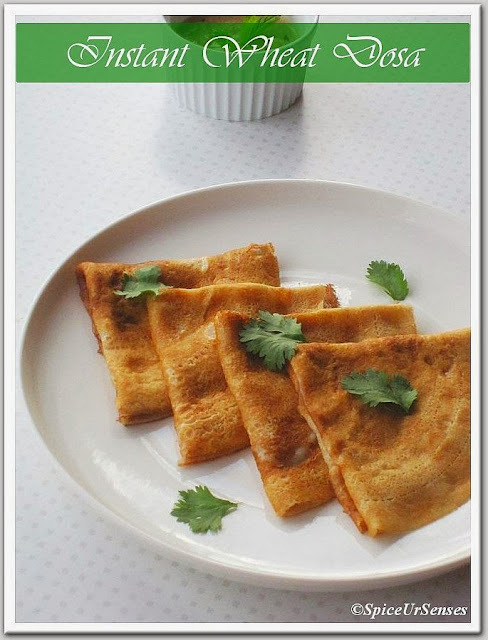 Easy and healthy breakfast option. 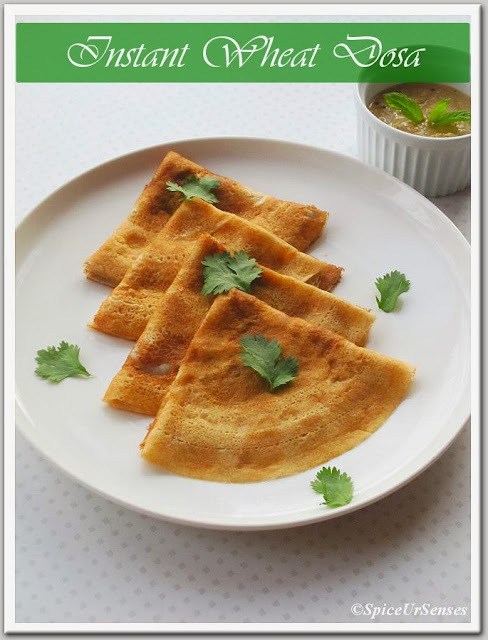 like your version rumana.. i dont add buttermilk..
Love this quick and instant dosas very much..Inviting breakfast. My fav dosa.. looks yummy ..